The influx of immigrants to urban areas throughout the United States has raised concerns about accessibility of safe, affordable housing and the health consequences of poor-quality housing, particularly among immigrant children. We conducted a population-based study of home environmental conditions among recently immigrated Mexican families (weighted n = 473), generally of low socioeconomic status, and the health conditions of their children, in an urban industrial area north of Denver, Colorado. The majority of recent immigrants had low socioeconomic status; virtually all had household incomes below the Colorado median ($50,841). Approximately one quarter of homes were overcrowded. Adverse environmental conditions were present across recent immigrant homes. These conditions include dampness or mold (44%), pests (28%), and minimal to no ventilation potential (26%), all of which are associated with asthma and atopic diseases. At least one of these three environmental hazards was found in 67% of homes; multiple hazards were present in 27% of homes. 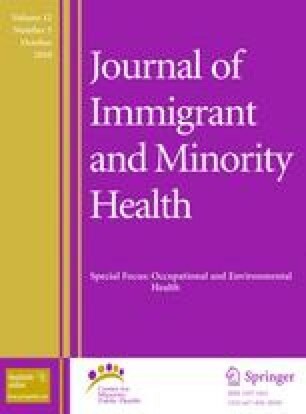 Children of recent immigrant families had active symptoms within the past 12 months suggestive of asthma (4%) and atopic disorders (10%); however, fewer than 2% had been diagnosed with these conditions. The prevalence of asthma and atopic symptoms among Mexican immigrant children, albeit lower than in other low income and minority communities, is partially explained by housing conditions. Many of the conditions identified (e.g., pest infestation, mold resulting from plumbing leaks, and lack of exhaust fans) are amenable to low cost interventions. Solutions to address unhealthy housing conditions among recent immigrants must be multi-faceted and include strategies that target household-level improvements and access to health care. The authors gratefully acknowledge Fernando Pineda, Diana Pineda-Ford, Laura Diaz, Maribel Olivas, Joe Campe, Peter Scaramella, and Tina Irwin (promotoras and inspectors), Ken Scott (research assistant), Dr. John Kittelson (statistical consultant), Dr. Analice Hoffenberg (development and pilot testing of data collection instruments), and (posthumously) Alyssa Heberton (data management). We are also grateful for support and guidance from Cristie Jophlin, ED, Commerce City Community Enterprise; Wendy Hawthorne, through a contract with Northeast Denver Housing Center; Jaime DiPaulo, Community Relations, City of Commerce City; and Tri-County Health Department. The US Department of Housing and Urban Development funded this project (No. COLHH0123-04). This report does not necessarily reflect the views of the aforementioned agencies and organizations. Colorado Department of Public Health and Environment. Colorado Child Health Survey Questionnaire. 2004. http://www.cdphe.state.co.us/hs/yrbs/child_health_questionnaire_2004_1.pdf. Accessed 14 May 2009.